‎Years later, her father has disappeared and the country is at war. Anna works at the Brooklyn Naval Yard, where women are allowed to hold jobs that once belonged to men, now soldiers abroad. She becomes the first female diver, the most dangerous and exclusive of occupations, repairing the ships that will help America win the war. One evening at a nightclub, she meets Dexter Styles again, and begins to understand the complexity of her father's life, the reasons he might have vanished. "A magnificent achievement, at once a suspenseful noir intrigue and a transporting work of lyrical beauty and emotional heft" (The Boston Globe), "Egan's first foray into historical fiction makes you forget you're reading historical fiction at all" (Elle). 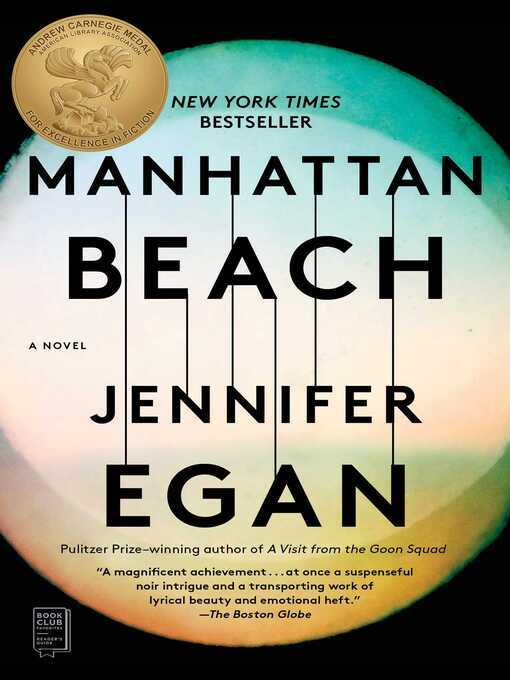 Manhattan Beach takes us into a world populated by gangsters, sailors, divers, bankers, and union men in a dazzling, propulsive exploration of a transformative moment in the lives and identities of women and men, of America and the world.